Learning becomes more meaningful when it is culturally relevant and engaging. And corporate eLearning or online training is more effective when delivered in the learner’s native language. Translation and localization of the eLearning content for globally dispersed learners brings consistency in training. It helps the workforce to understand the company’s policies and procedures effectively while delivering the consistent message across the organization. Translation and localization is a complex process involving lot of time and money. But selecting the right expertise and technology can make all the difference. To get the maximum return on your training investment (ROI), you need to choose the translation and localization vendor who can create culturally-relevant localization (on-time and on-budget) and accurate translation. Here are the 6 best practices you should follow to translate and localize the eLearning content quickly and budget-friendly. Images and graphics play an enormous role in eLearning translation and localization. For example, Red is the color of happiness, joy and celebration in Asian cultures while it evokes the feelings of danger and caution in the Middle East. Note: Appropriate graphics can also cut down the content which in turn brings down the associated localization costs. In order to rollout multilingual eLearning courses to your diverse workforce, you need to ensure that your LMS supports multilingual courses. Effective eLearning localization is more than just translating words – it’s about choosing the right regional context. Culture is difficult to define as it varies from point to point and differs among various people. Thus, the design of eLearning programs cannot be culturally neutral. ELearning courses that carry images and color associations might vary from culture to culture, and within different possible audiences. What’s considered appropriate in Poland, may become sensitive in other countries. An experienced localization vendor might help you with the cultural differences. After localization, translated content may expand or contract as per the target language you choose. For instance, the translated word for “welcome” would be “herzlich willkommen” in German which is quite lengthy. So while designing layout, ensure you have adequate white space to accommodate the expanded text. Planning the space would minimize the budget and efforts as well. Have a dedicated native language speaker as a single point of contact for the respective translation and localization project. That dedicated person must be responsible with regard to activities like correcting the flaws in content and writing reviews of that particular project. This simple strategy filters the confusion and could be a value add to your eLearning project. Implementing these best practices can help you cut the costs and time associated with your eLearning Translation and Localization projects. Additionally, effective planning and best expertise with sound localization strategy can make the project successful. We, at Swift, offer high-impact, cost-effective, multilingual training solutions. Our translation specialists are skilled at creating accurate and culturally specific translations of your learning content. Contact us to discuss how we can maximize the impact of your eLearning translation and localization projects that could benefit your business. Here is a sample course translated in multiple languages. 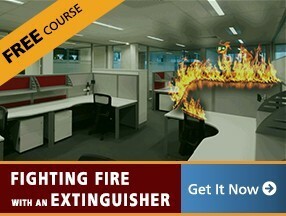 Please click the button to access the course. Big data: How Elearning Can Benefit From It? What is the Rationale of using eLearning in Business Application Training? Why not take the time to learn more about what we do and check out some of our past work. Alternatively contact us now to discuss your requirements.